New - Update your wardrobe with our latest arrivals. Refresh your wardrobe with cool tones & clean lines. Introducing iconic prints & easy silhouettes. Clothing - Designer pieces for work & beyond. 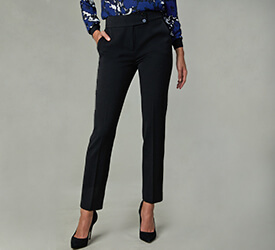 Mix & match tailored separates that exude confidence. Opt for modern pieces with feminine flair. Own The Prom - Capture the memories in a picture-perfect prom dress. 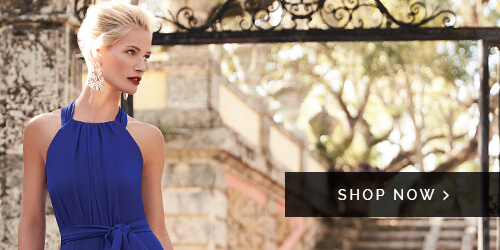 Dress Shop - Dresses suited for every occasion. 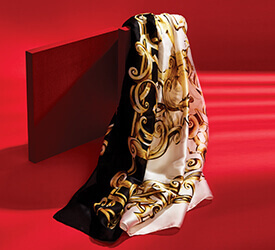 Elevate your eveningwear with designs reminiscent of old Hollywood. Opt for bold patterns & charming details that transcend the seasons. Best Sellers - Shop our most sought after styles. 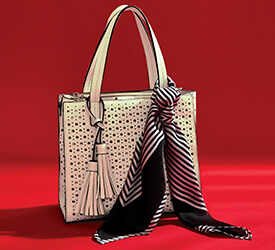 Accessories - Add the finishing touch to any outfit. Accessorize like a pro with a timeless design. Complement your outfit with the right accessories. Brands - All of your favourite designers in one collection. 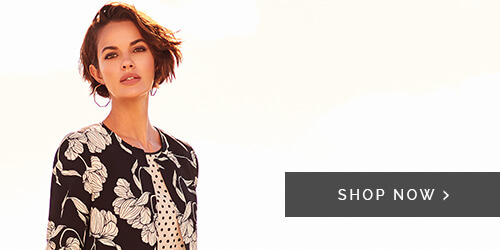 Featured Shops - Shop up-to-the-minute fashion trends. The dress of her dreams awaits. Keep up with the season's top styles. Sale - Fashion finds for less. 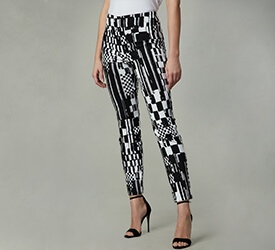 Save on pants in a variety of fabrics & prints. 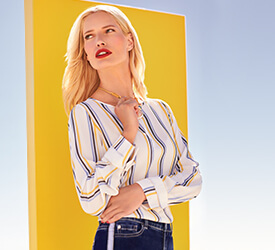 Save on our most coveted styles. Clearance - Shop the best deals before they're gone. Fill your shopping bag for less. Save on our need-now looks. This sheer chiffon Adrianna Papell dress flatters with its flutter sleeves, wrap styling, waist-defining tie and metallic fil-coupé dots for a touch of sparkle. Our model is 5’9"/175 cm and wears a size S.
Take your look to the next level with fashion-forward pieces by Adrianna Papell. This brand is all about making women look and feel their best, no matter the occasion. Beyond your average outfit of the day, styles by Adrianna Papell evoke a feeling of celebration and style unique to the modern day woman. Slip into their figure-flattering silhouettes, each crafted with artisanal precision and high quality fabrics. Adrianna Papell - Capelet Back Dress is rated 5.0 out of 5 by 2. Receive FREE shipping & be the first to discover our latest styles, top trends & exclusive offers! © Melanie Lyne. All rights reserved.